The melon margarita is easy and delicious. It's a shaken tequila cocktail that requires just four ingredients that are typically stocked in a bar and makes a brilliant green drink that everyone's sure to love. This recipe could not be easier; it simply skips the original margarita's triple sec, opting for a melon liqueur like Midori instead. This is definitely a cocktail where you'll want to upgrade your tequila for one that you wouldn't mind sipping on its own. Also, you'll find that it's best when made with a fresh sour mix, which is a quick DIY project that's useful in a variety of cocktails. Strain into a margarita glass or rocks glass. Garnish with a slice of crystallized ginger and lemon peel. For the lime, you'll find that one large lime will give you almost the perfect amount of juice for one drink. Warm the fruit to room temperature if stored in the refrigerator and roll it under the palm of your hand to get the most juice out of your lime. Midori may be the best-known melon liqueur and it's one of your best options, but there are others on the market. Bols Melon is another premium brand and Monin makes a pretty good one as well. You can also find this flavor produced by DeKuyper and Hiram Walker. To keep your margarita colder longer, strain the drink into a chilled glass. Either place a few ice cubes in the glass while you're mixing the drink then dump them out or place your glass in the freezer for at least half an hour. Since this drink comes out to about 5 1/2 ounces after mixing, it's a perfect candidate to serve on the rocks in one of the smaller Mason jar glasses. You can also blend this margarita with 1 cup of ice for a frozen version. Switch from blanco tequila to a reposado to give your melon margarita a slight hint of oak. Pick up a bottle of watermelon schnapps and use that instead of the average green melon liqueur. Add a fun twist by infusing your tequila with a complementary flavor. Melon pairs well with any variety of berries, so try raspberry, strawberry, or even blueberry tequila! You can also try something very unique and pour a lemongrass-ginger tequila into this cocktail. How Strong Is a Melon Margarita? The sour mix and lime juice make up a large portion of this margarita, so it's not as strong as you might think. 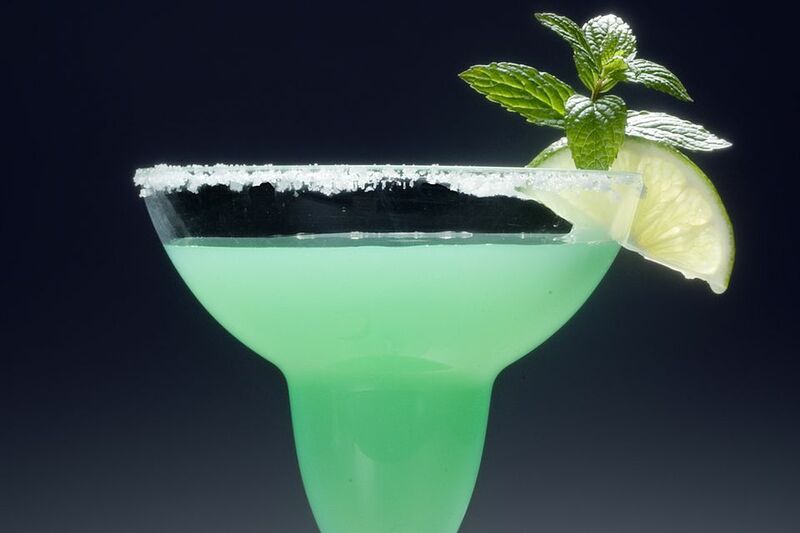 When made with 80-proof tequila and Midori, it will shake up to about 16 percent ABV (32 proof). That's a little more potent than the average glass of wine.